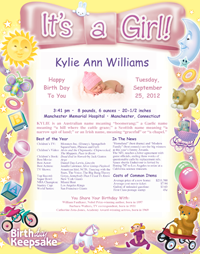 Contemporary Style Day-You-Were-Born Birthday Keepsake! 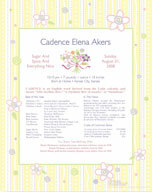 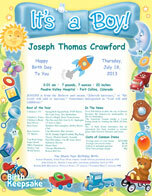 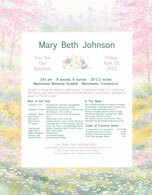 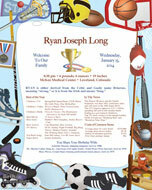 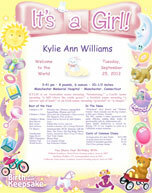 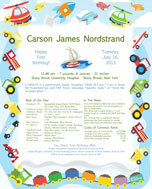 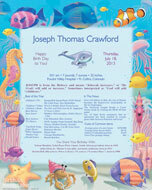 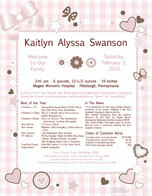 Birthday Keepsakes are COLORFUL art-quality personalized birth announcement prints. 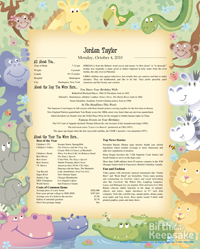 Each keepsake includes the child's name, name meaning, birth date, birth information and a lot of fun facts* about that very special day! 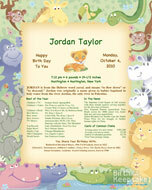 See all 11 designs below! 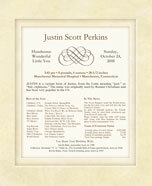 *Information is based on current and past U.S. events. 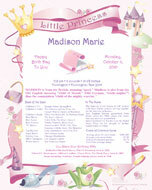 Click here to see all 20! 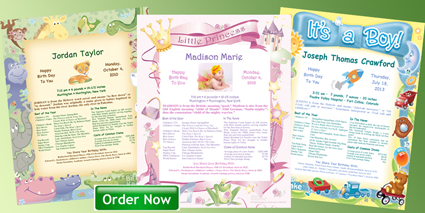 Click here to see samples.